Oberon returns | Drink. Blog. Repeat. It may not feel like spring here in South Carolina, but just like the blooming flowers, signs of a warmer season are beginning to pop up here and there. 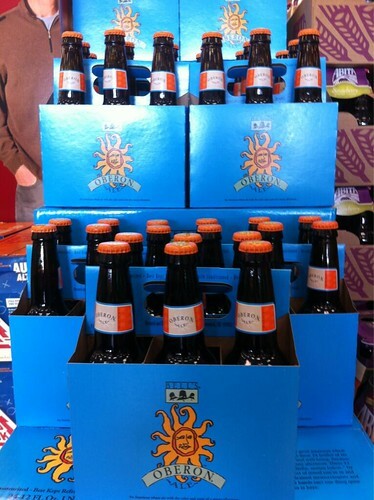 Take, for example, the cases of Bell’s Oberon that arrived in stores this week. The 5.6% summer wheat ale – one of my favorites of the season – has returned to shelves to warm your insides. It’s one of the brewery’s more popular and celebrated offerings, but unlike Hopslam, you won’t see people murdering others to get their hands on some. You shouldn’t have any trouble finding this one.